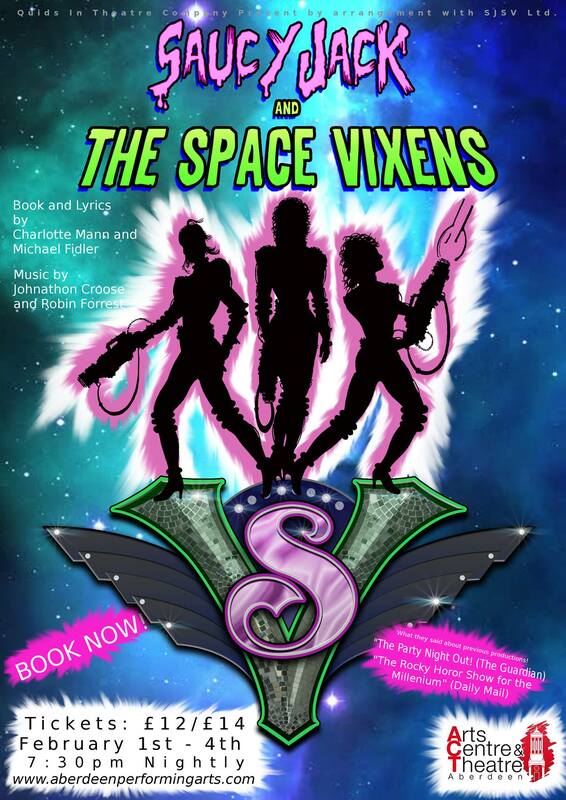 The Vixens rocked Leicester Square in 2013! 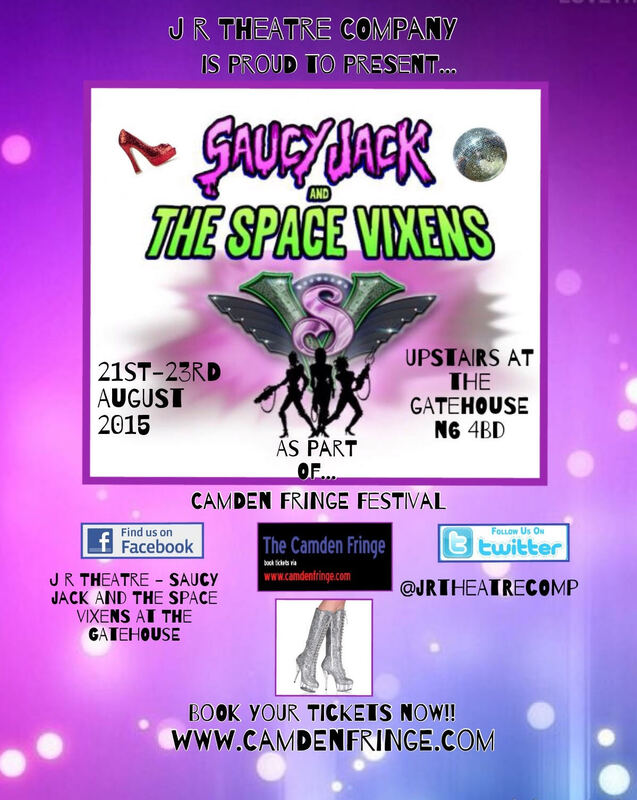 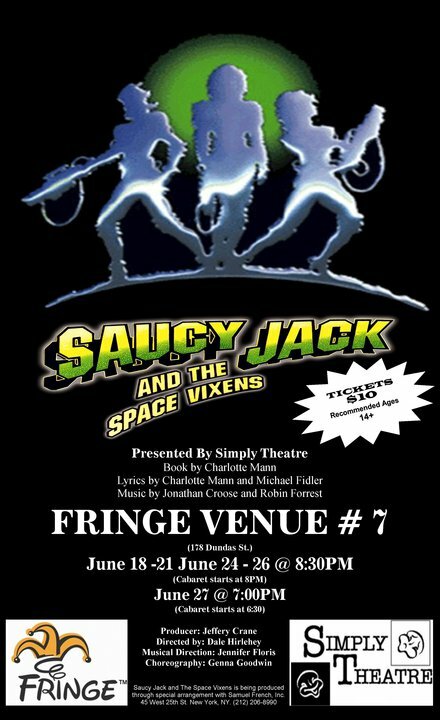 The audience is transported to Saucy Jack’s, a cabaret club on a distant planet in an unspecified future. 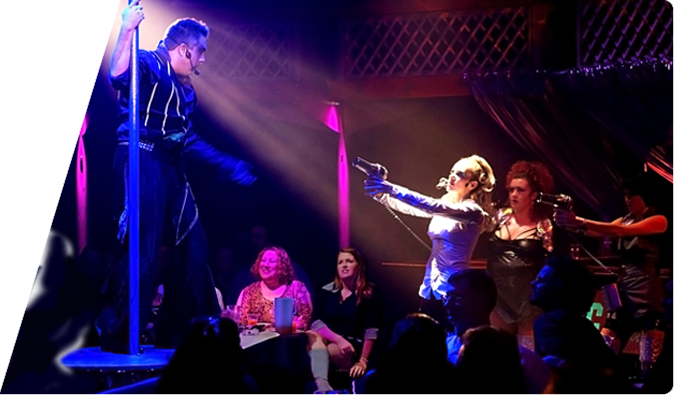 They become part of the action, seated in and around the bar with the show taking place all around them. 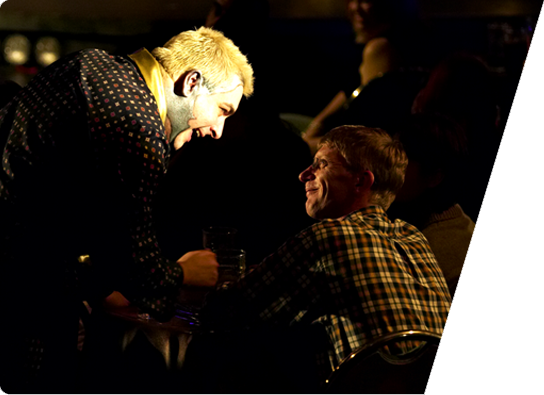 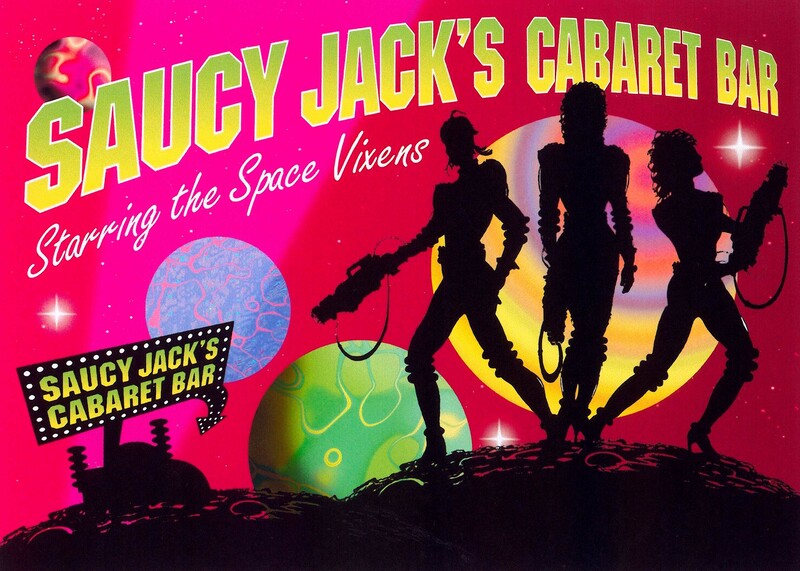 The evening starts with the bar open and the club swinging with all manner of futuristic cabaret acts. 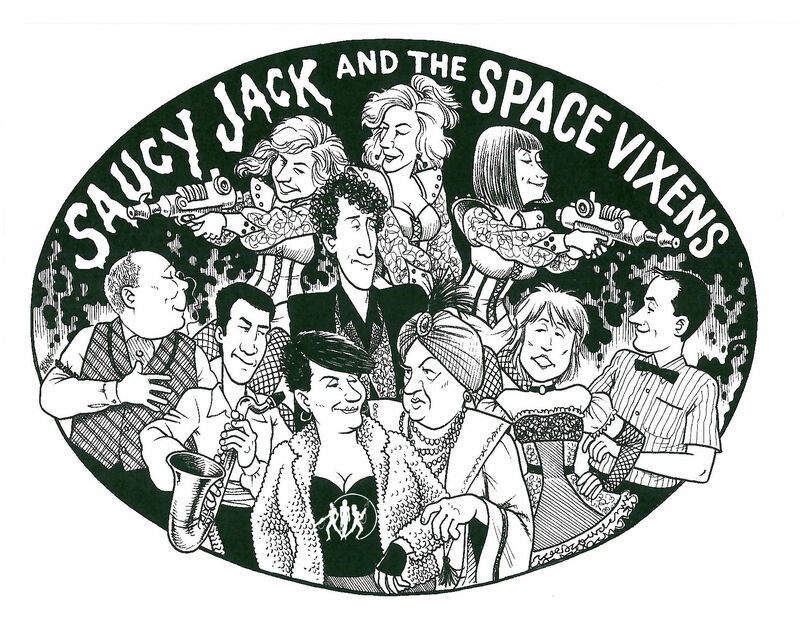 Jack and his cohorts welcome everyone and anyone to the club. 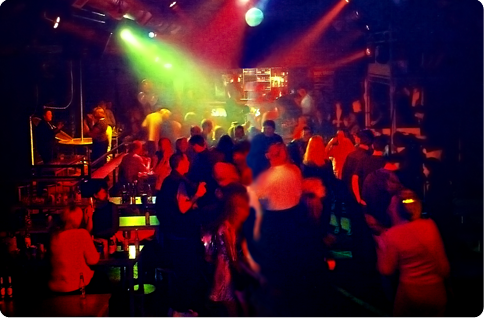 After the last encore, the bar stays open and the audience stays on its feet dancing as the show's club anthems give way to the resident DJ. 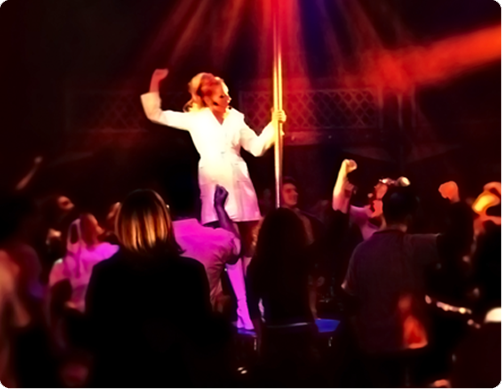 It’s an environment that offers complete entertainment under one roof, combining the very best aspects of cabaret, burlesque, musical theatre and clubbing. 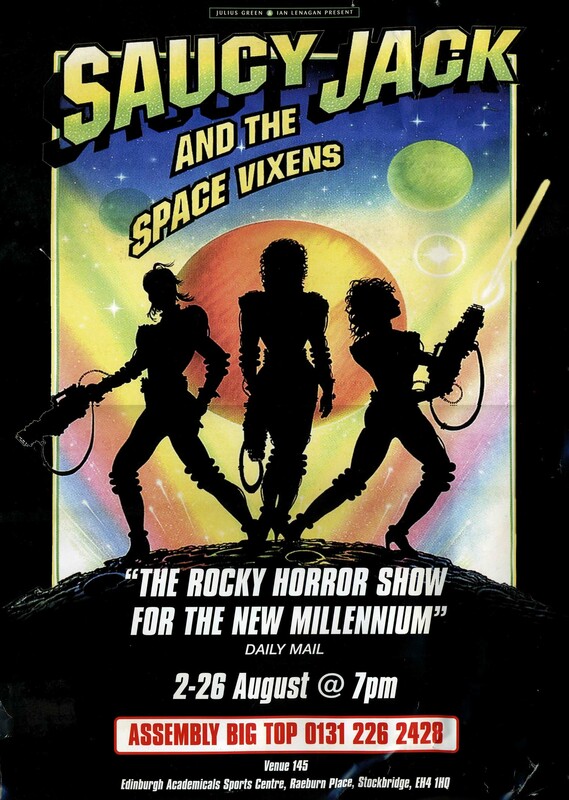 It’s a bit like watching an episode of Cheers from a table in the bar, or being on the bridge of the Starship Enterprise during an intergalactic crisis. 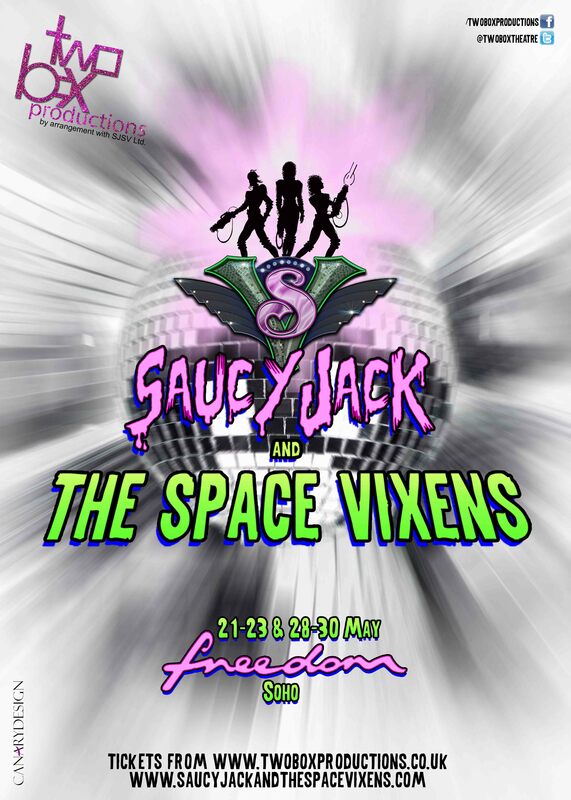 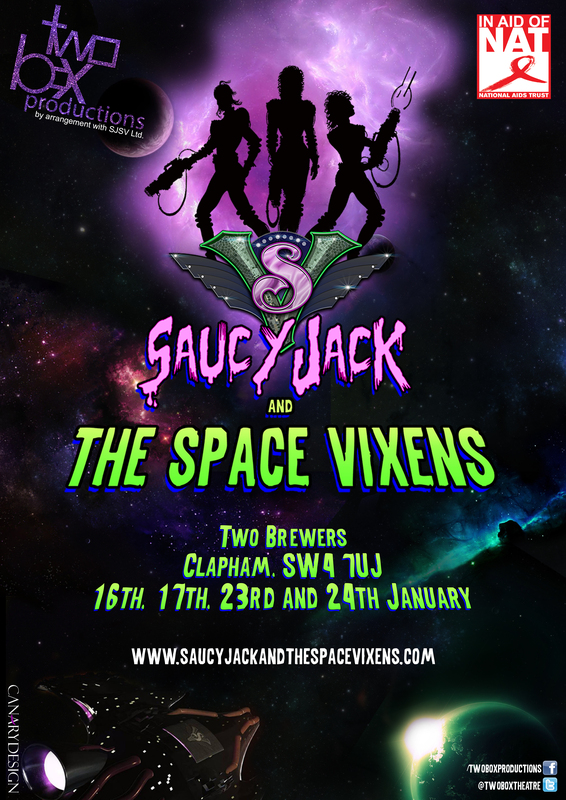 Saucy Jack and the Space Vixens involves the audience so much that they come back again and again wanting more... dressing in their own costumes, singing along and joining in with the dance moves! 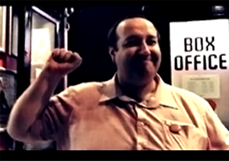 Fans have even made up their own "shouts" in response to lines in the show. 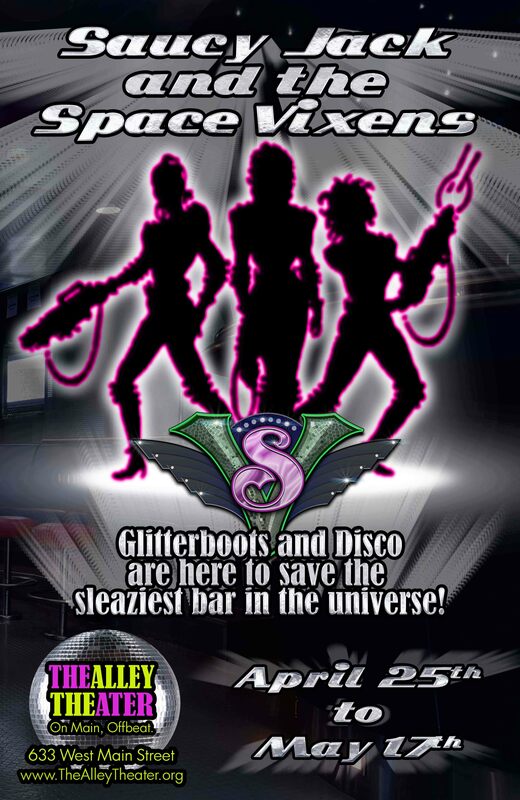 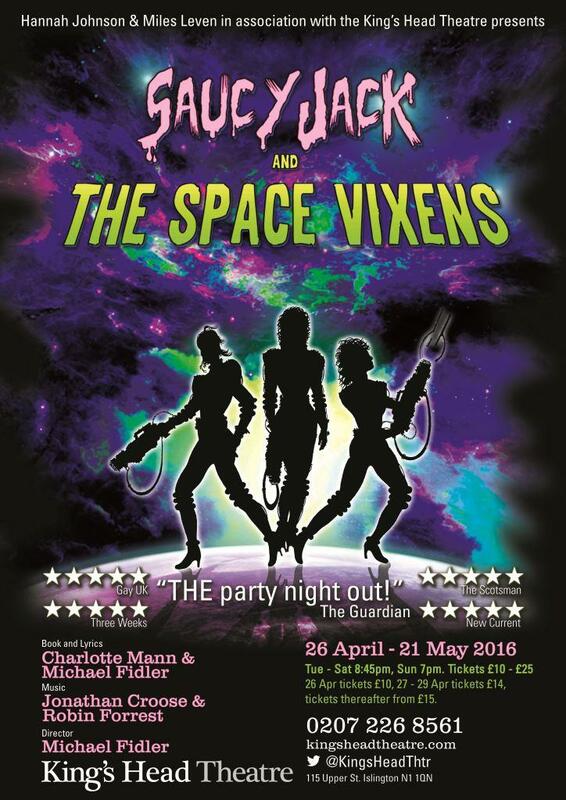 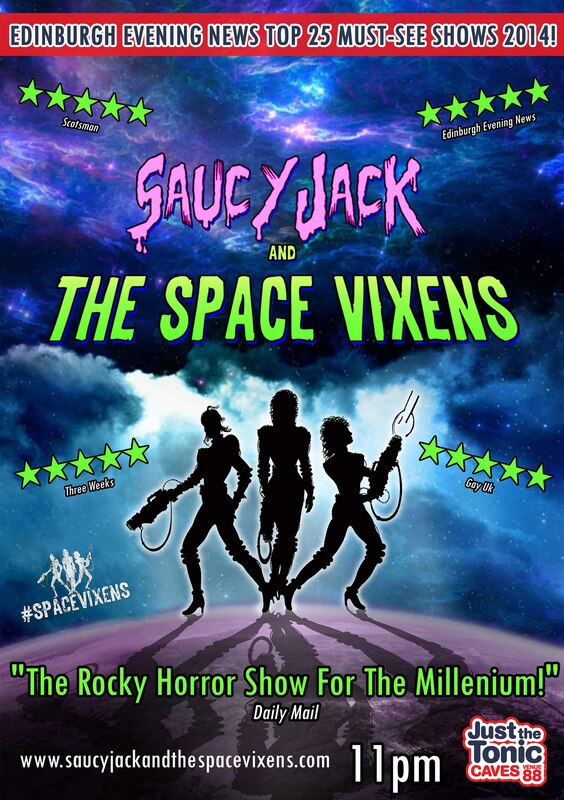 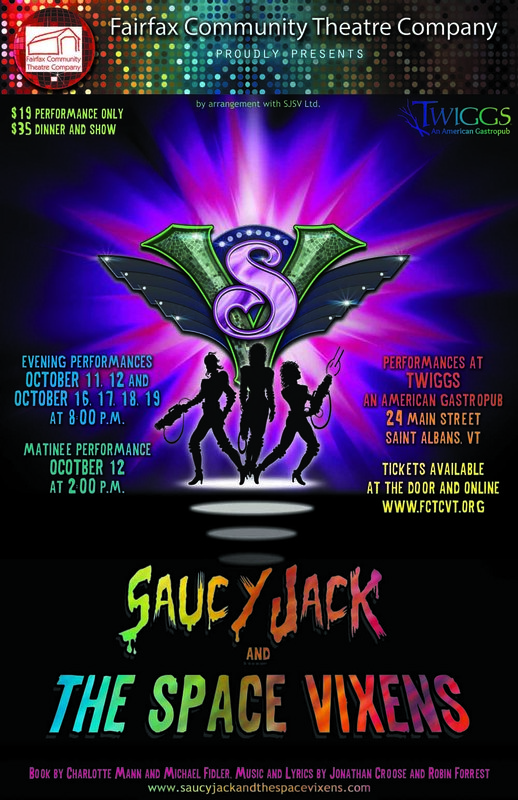 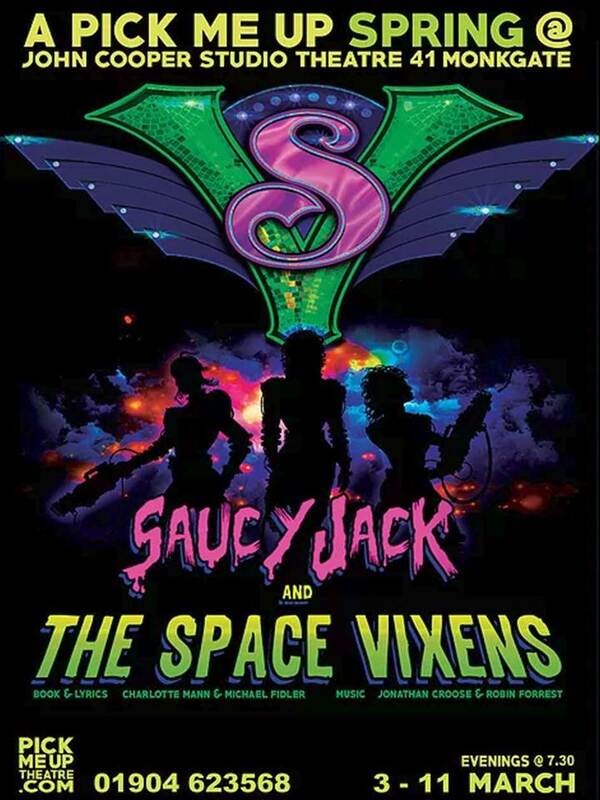 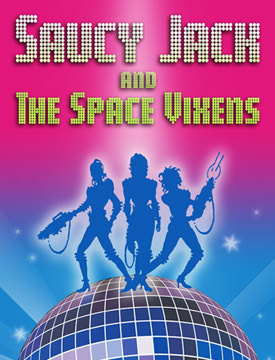 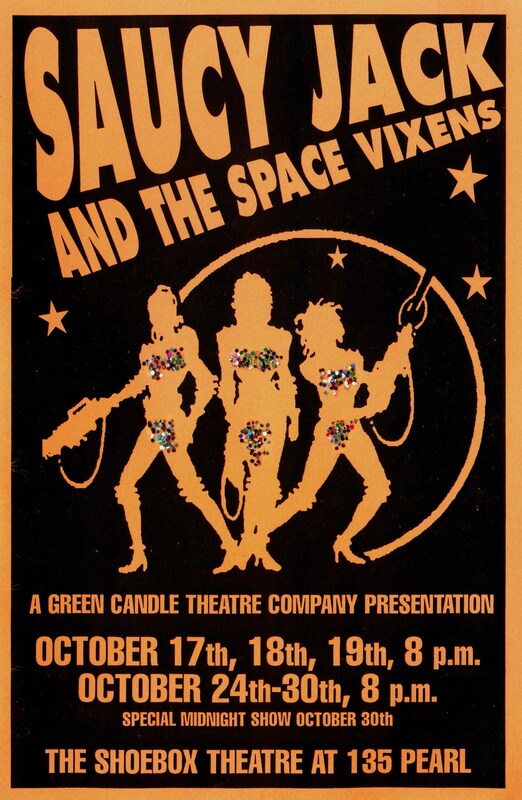 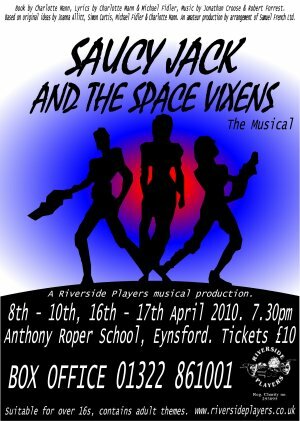 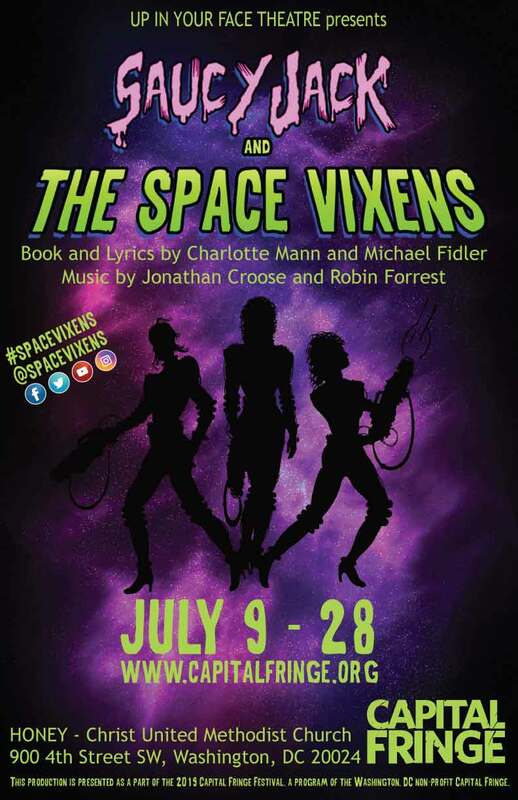 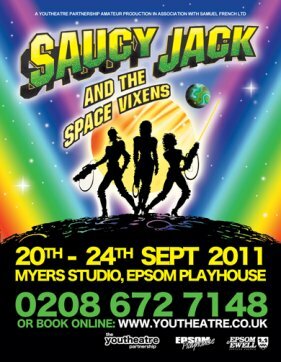 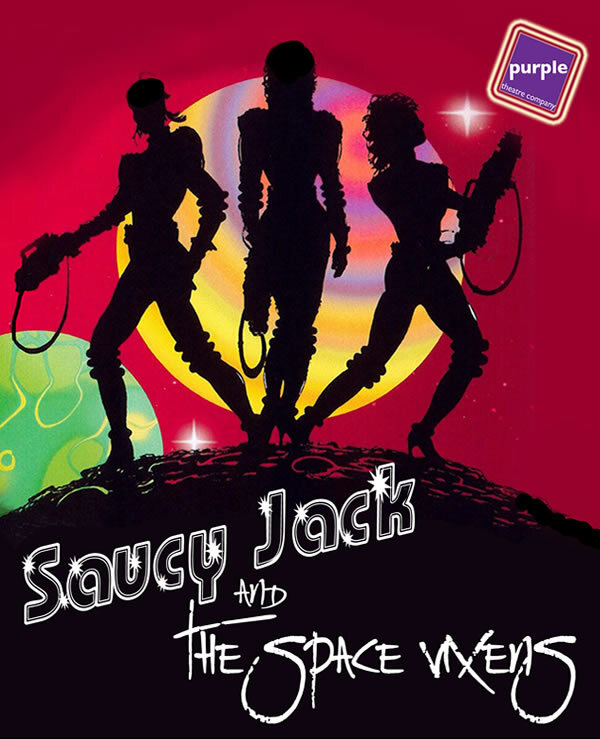 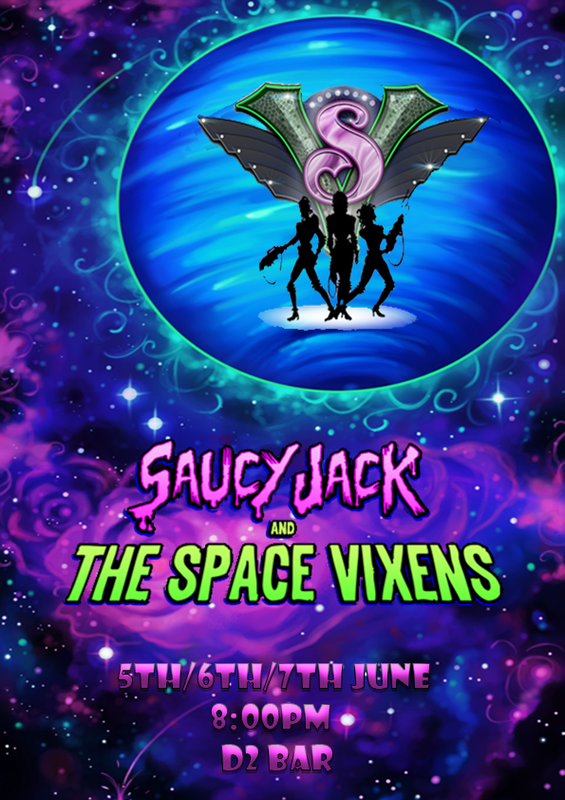 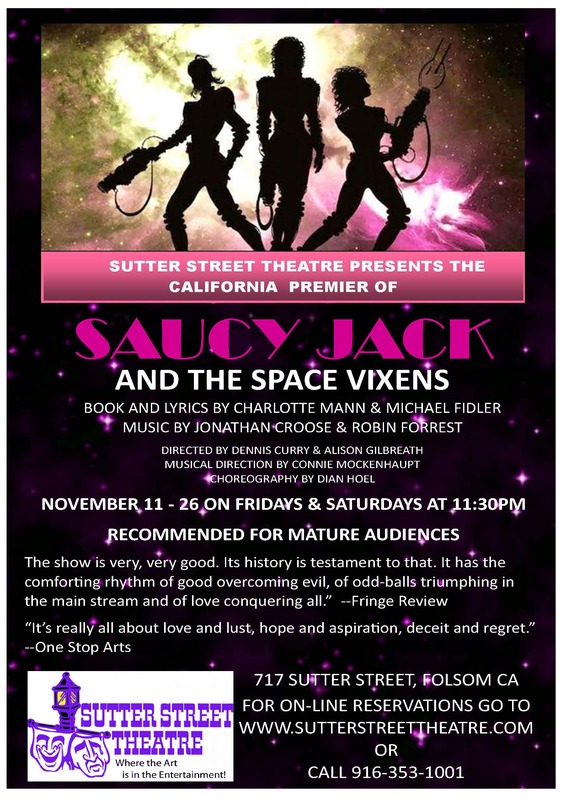 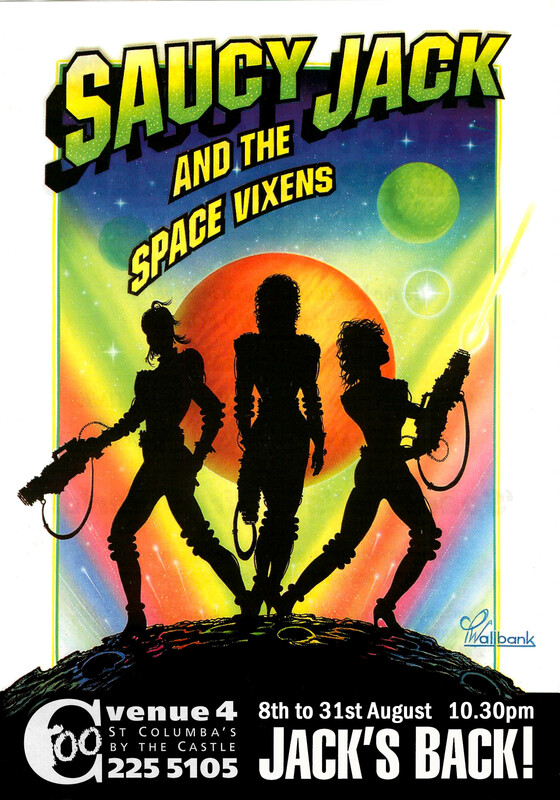 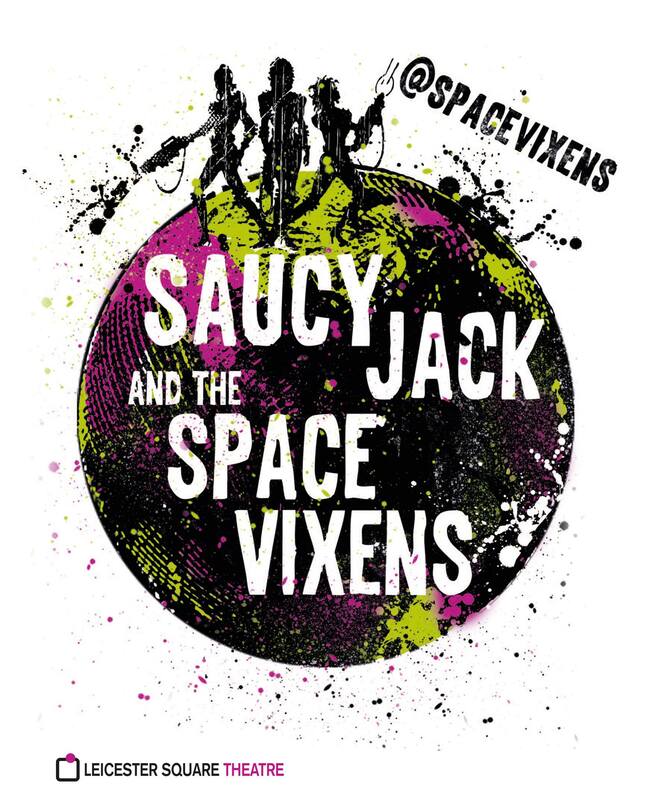 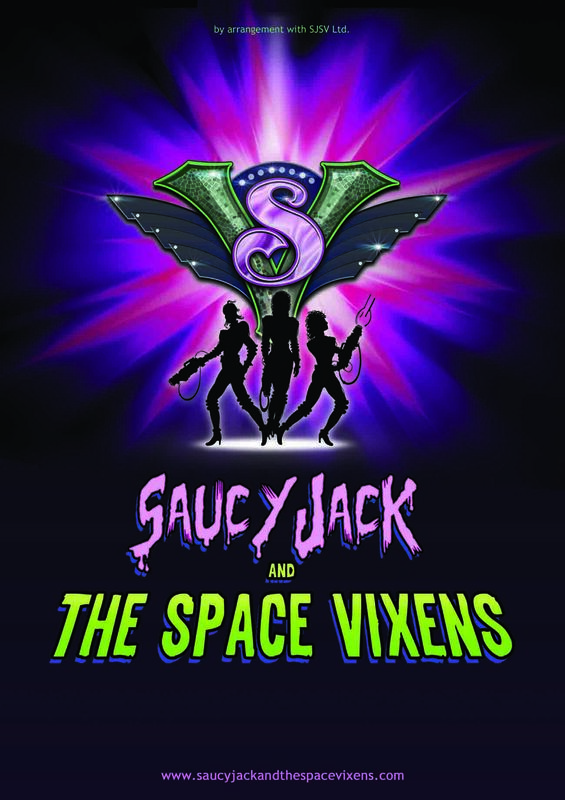 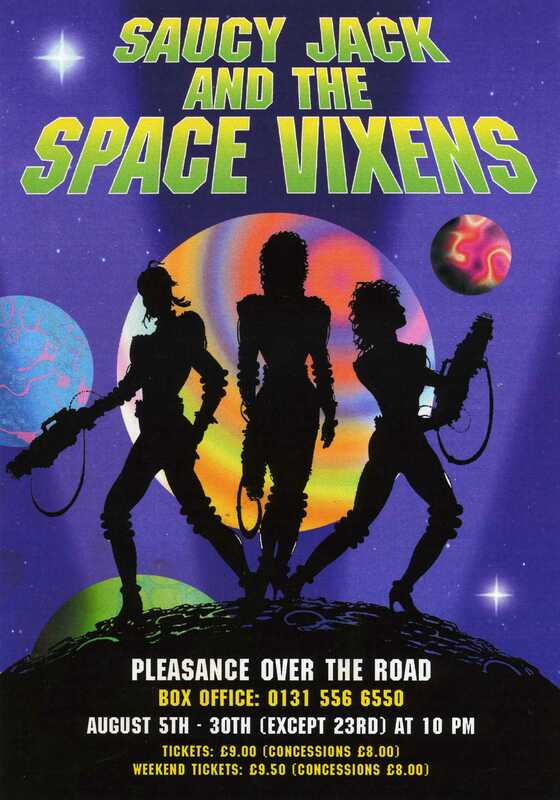 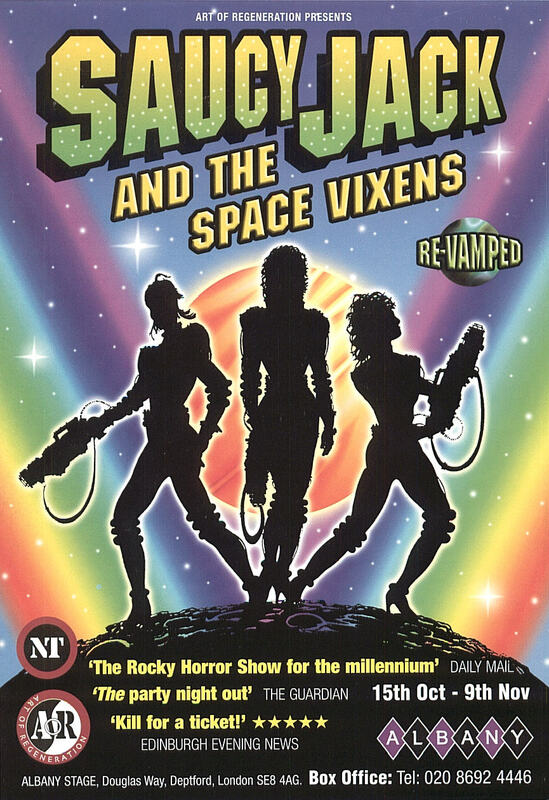 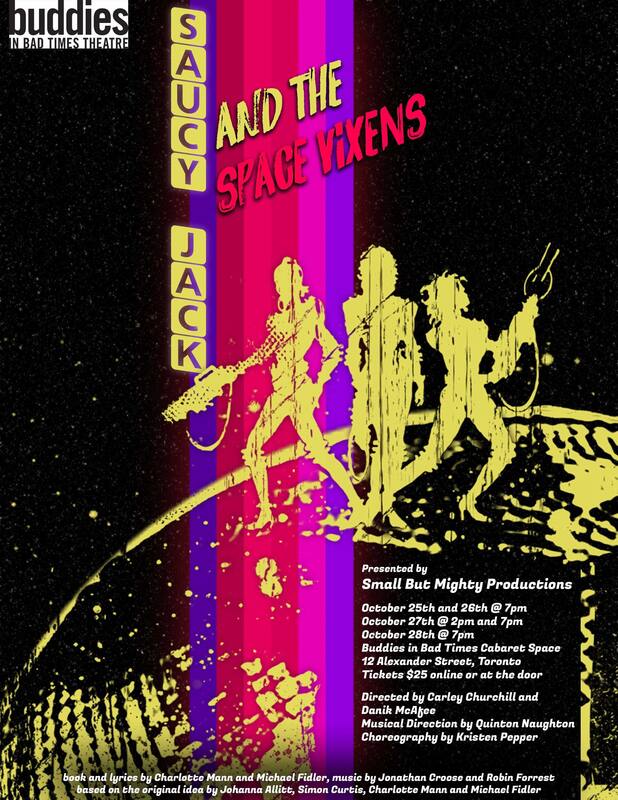 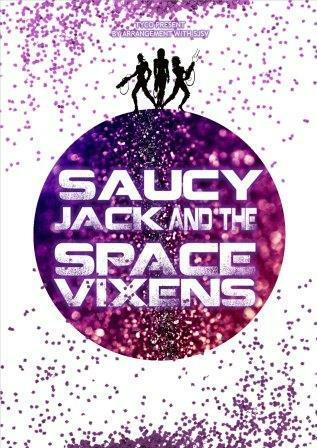 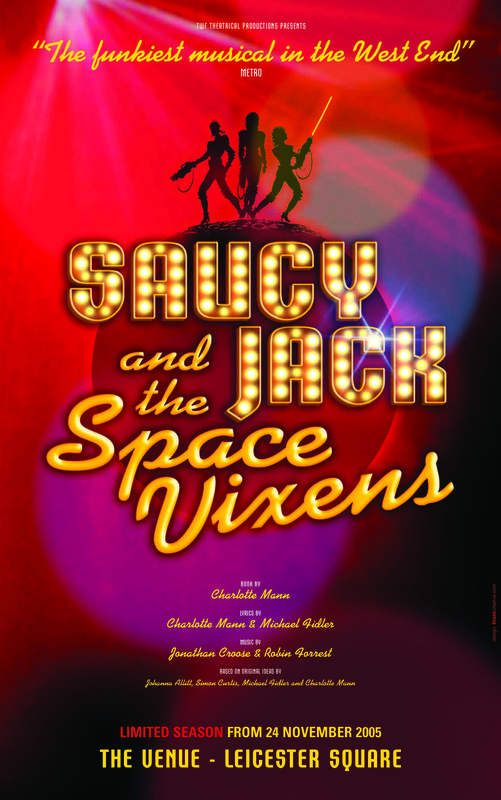 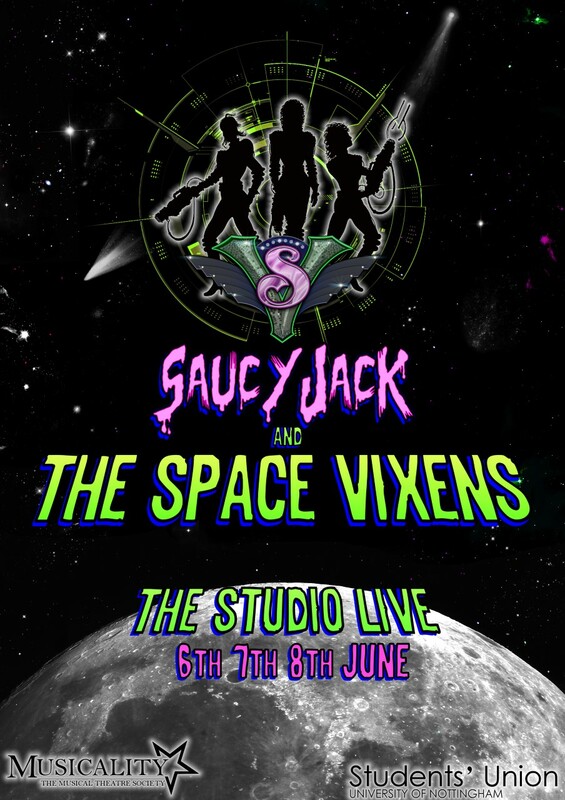 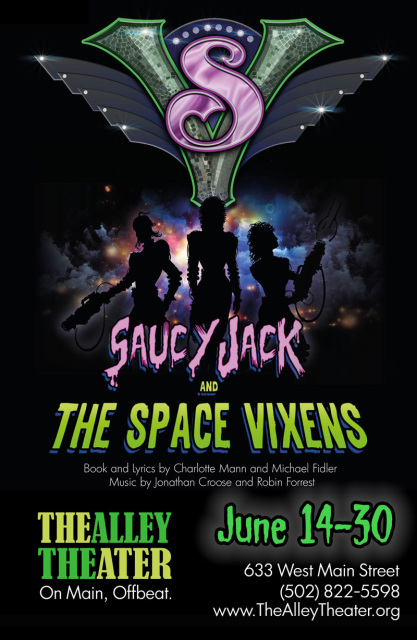 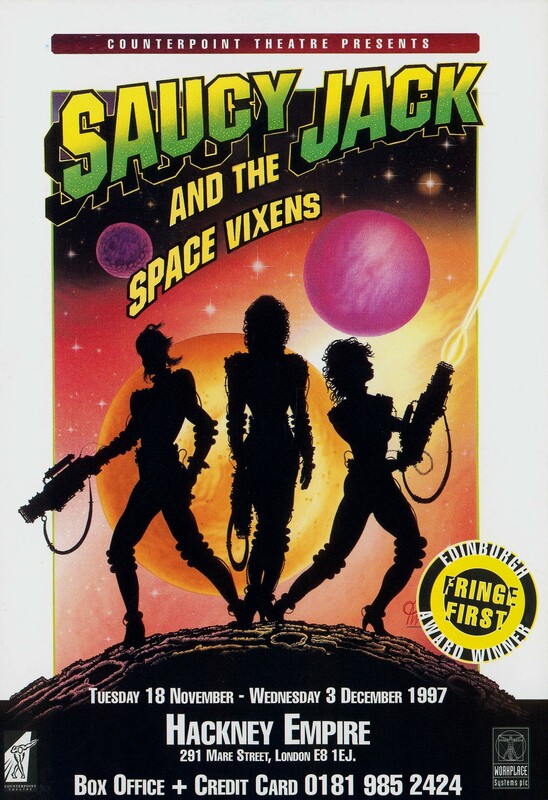 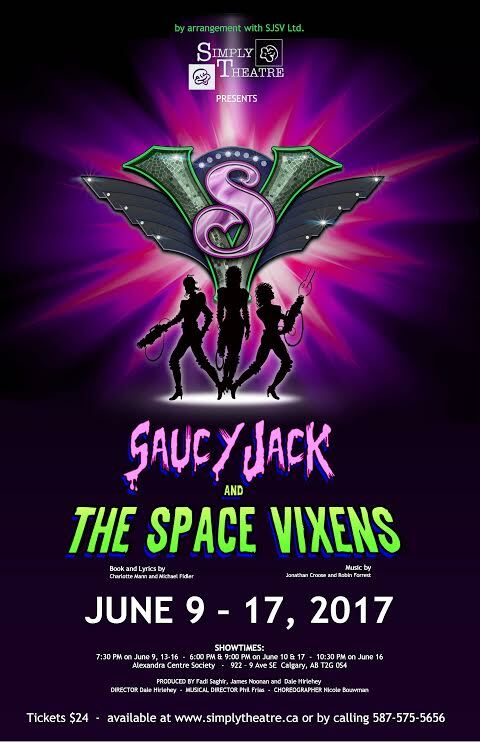 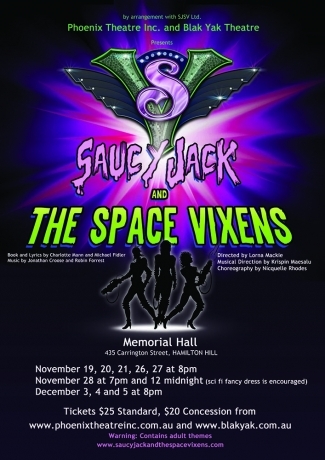 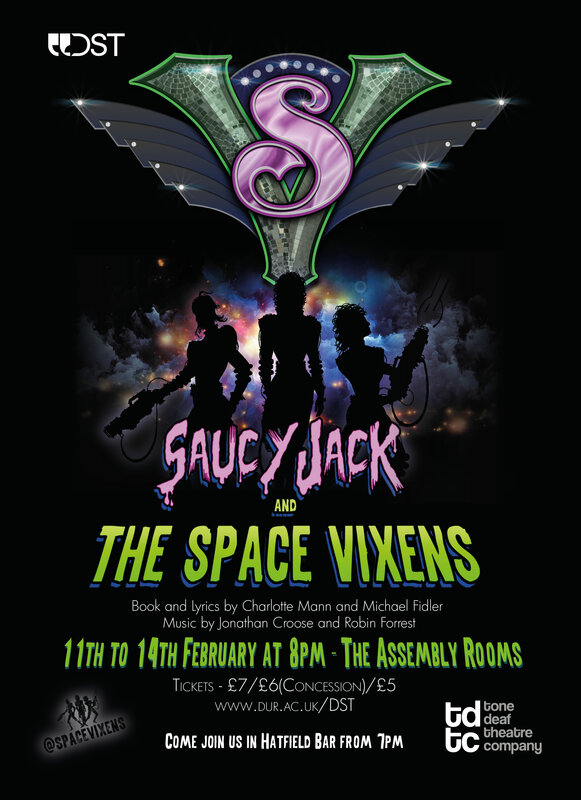 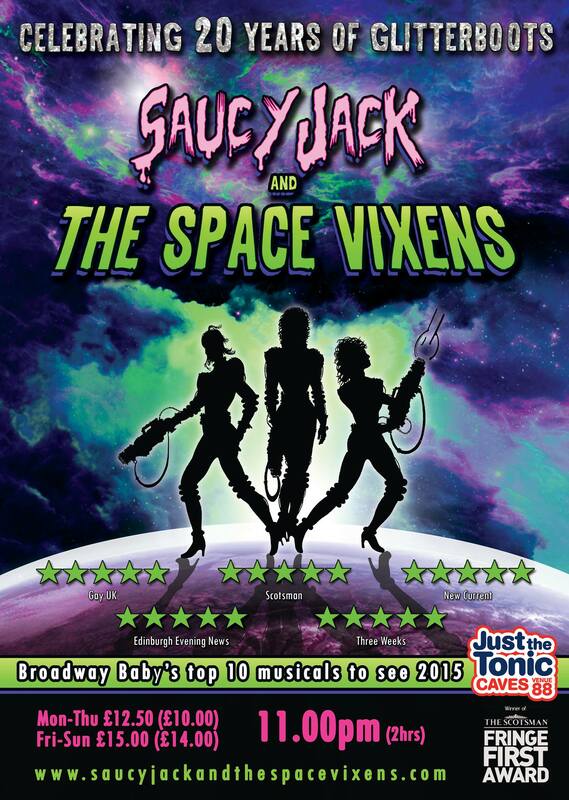 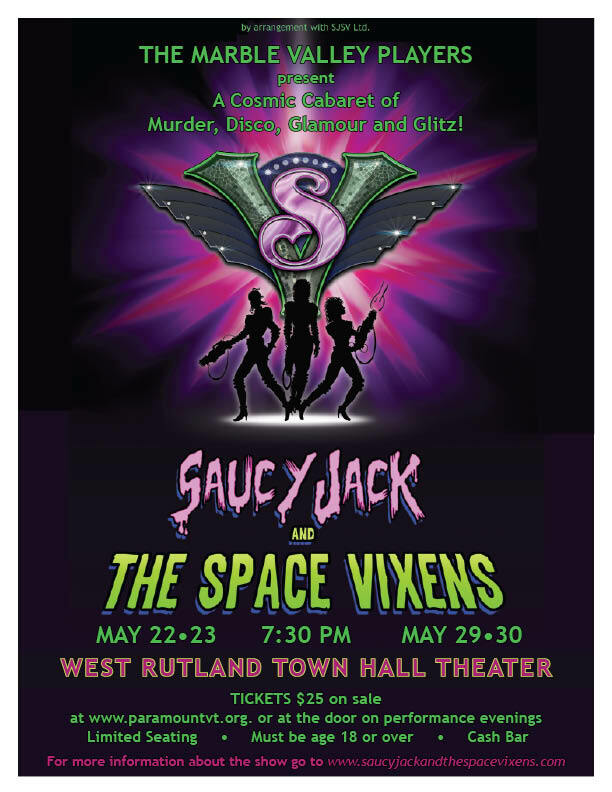 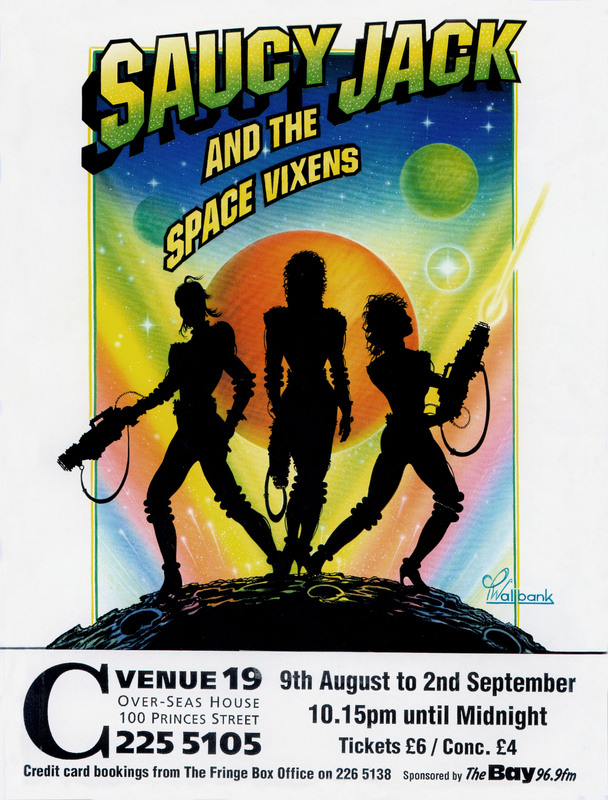 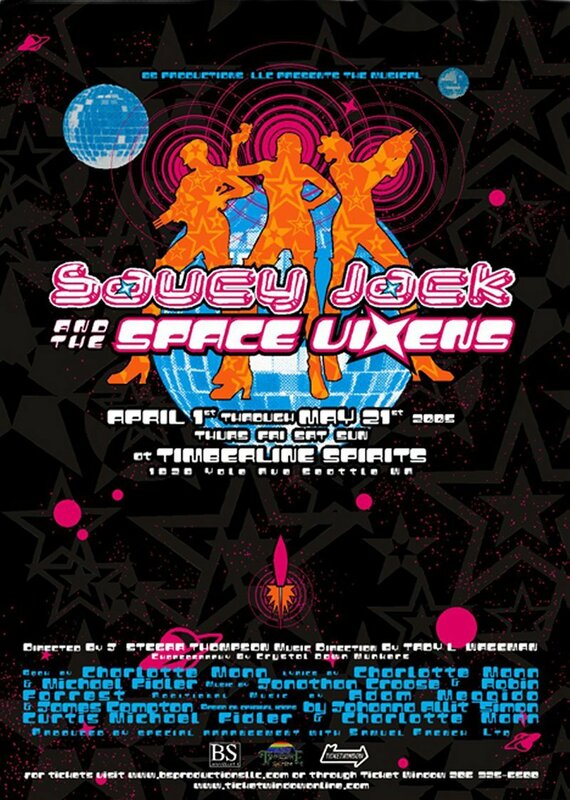 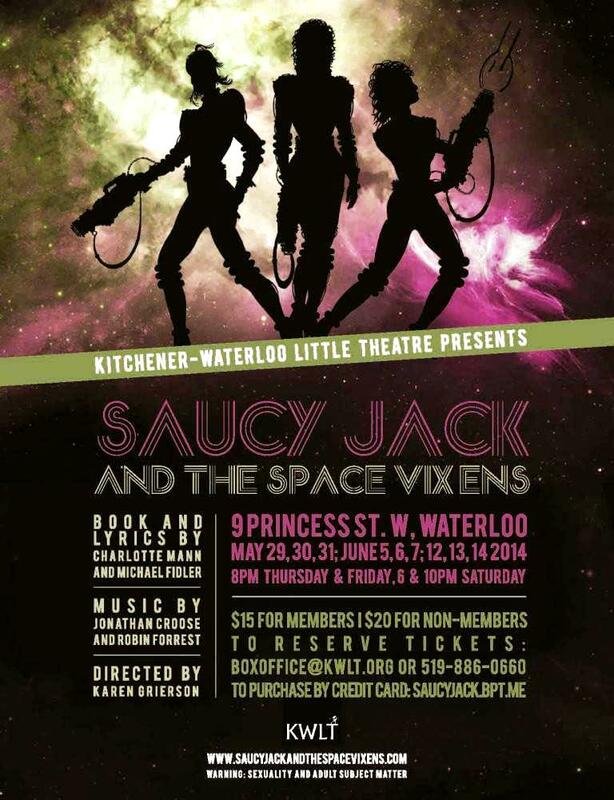 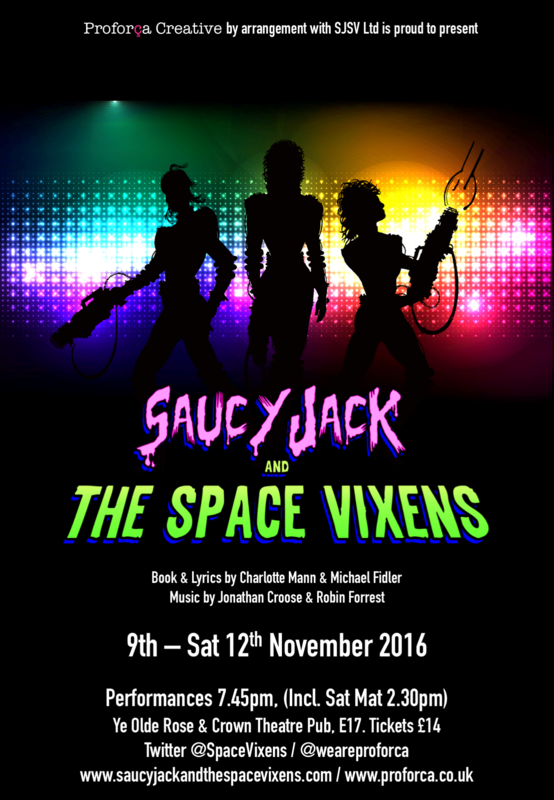 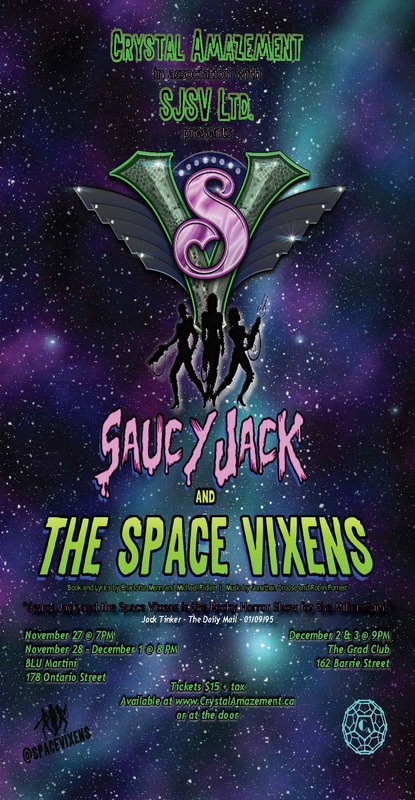 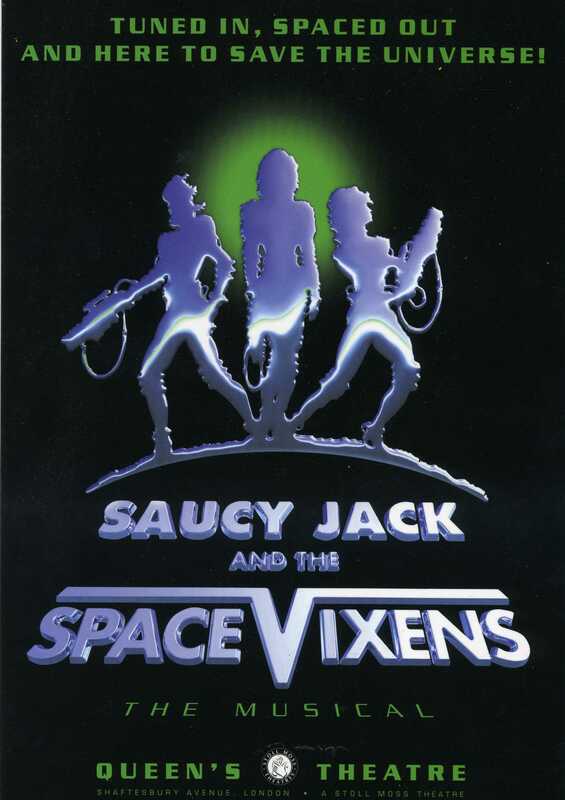 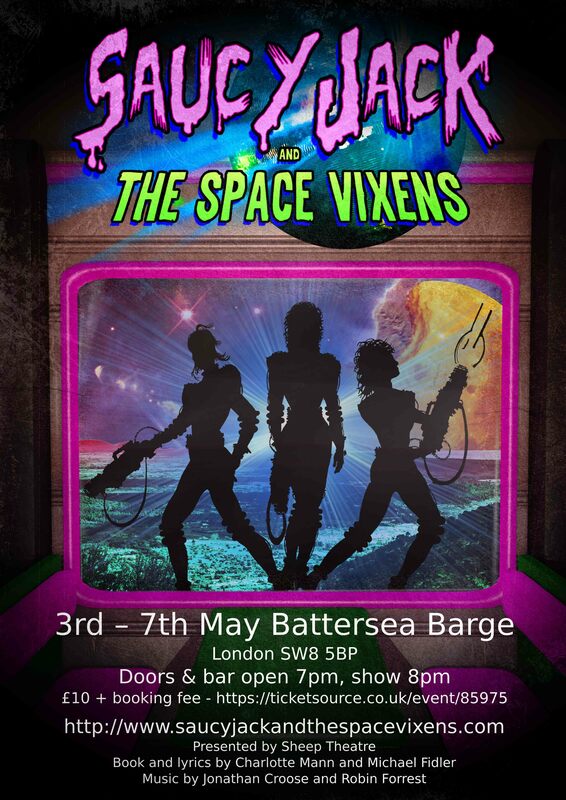 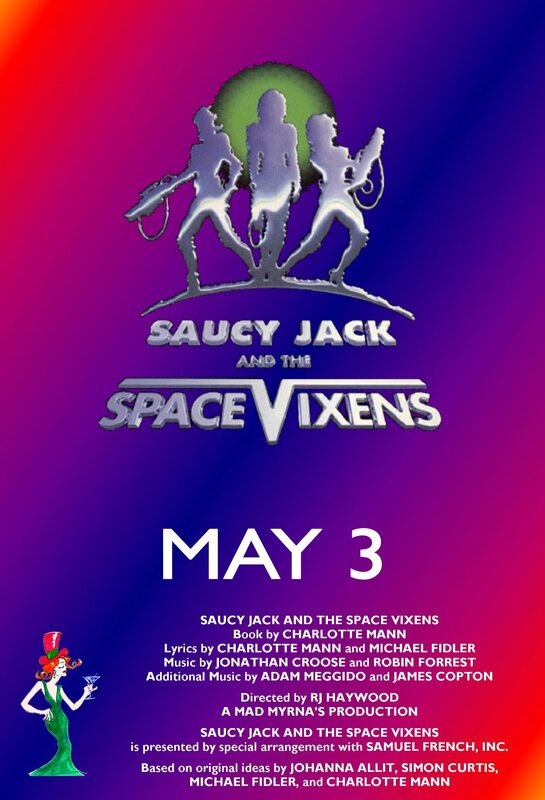 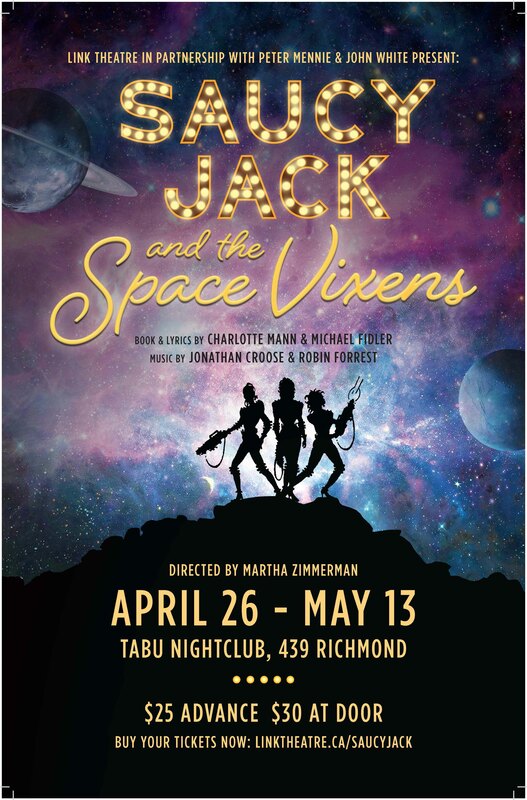 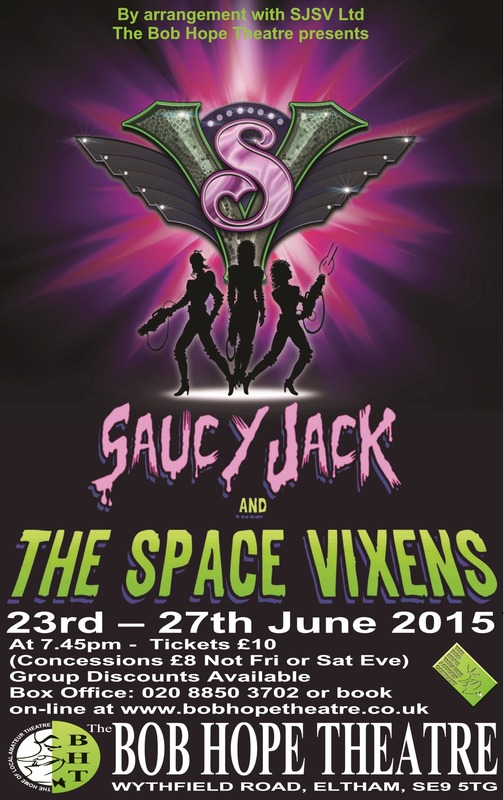 to march through this seedy blitz..."
Whether it’s in a bar with theatrical production values brought in or in a theatre made up to look like a bar - or just about anything in between - Saucy Jack and the Space Vixens works because it allows the audience to feel part of it. 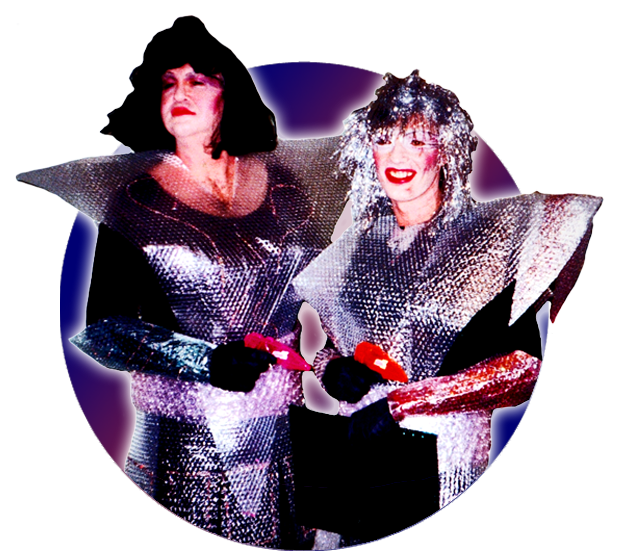 Indeed they are central to it - or the performers would simply be wandering around an empty bar. 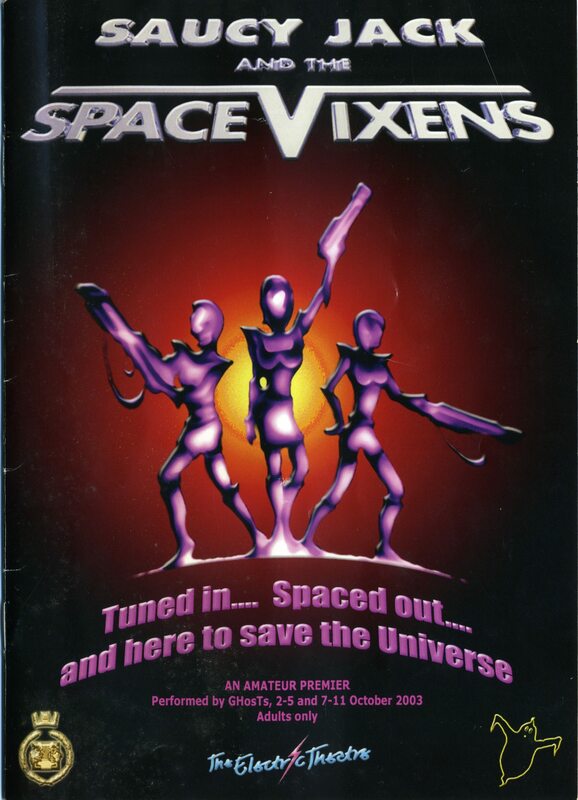 And when the Doctor asks them to reflect on what it means to be a Space Vixen, offering them the opportunity to let go of their inhibitions and get up and dance, it’s no surprise that they do. 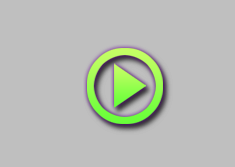 Every night.